The well-being and success of our students is at the centre of The Garibaldi School vision. The school is a safe environment where students can feel comfortable, well supported and confident. We believe that it is our duty to develop the aspirations of our students and we encourage students to set high standards for themselves. 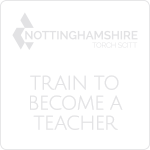 As a result, targets are high and we expect high quality teaching and a personalised approach to learning to support our students to achieve. Our students take pride in themselves and in being a part of The Garibaldi School. We help students develop teamwork and leadership skills. Most importantly our students learn how to respect themselves and others. We are clear in the way that we expect our students to conduct themselves with all members of our community. Therefore, by the time our students leave, they have gained the skills, qualities and qualifications needed for a successful future. This caring ethos sits within a structure that provides support for students and ensures regular contact with parents and carers. We actively engage and listen to parents, making sure their views shape school policies. 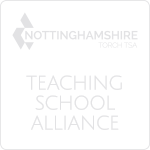 We work with them as partners in their child’s learning, personal development and well-being. The Garibaldi School is a very effective school which serves its local community well by providing a first rate education to all its students. 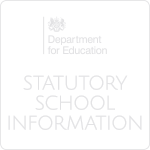 We work in close partnership with other schools to ensure education across the local area is as good as it can be. We make sure that we are transparent and explain carefully to all stakeholders the purpose of what we are trying to do. Students that leave The Garibaldi School are successful, thoughtful and independent. They have been encouraged to aim high and are well equipped to meet the future challenges that they will face. At the school students will encounter these principles throughout everyday school life. The importance of these values in our modern and diverse community is recognised across all curriculum areas. Our PSHCE curriculum in particular delivers opportunities for students to learn about and reflect upon these British Values.